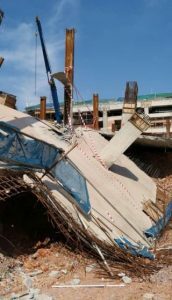 The collapse which occurred at the Bukit Bintang City Centre development site last Friday. 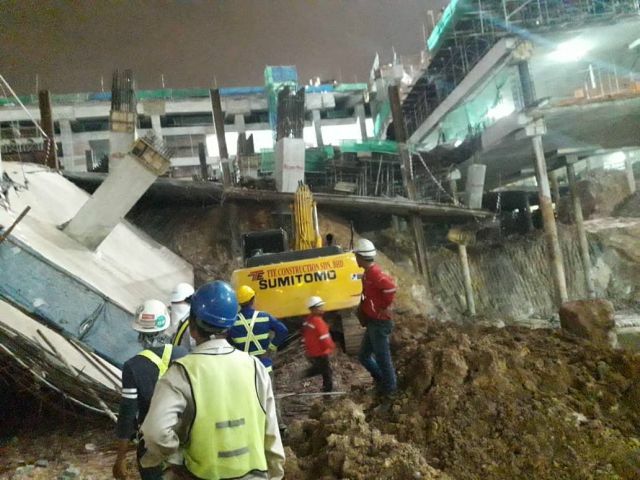 KUALA LUMPUR, Jan 29 – The developers of the Bukit Bintang City Centre (BBCC) waited for four days, after pictures of a collapse that had occurred on the site under construction started to be spread on social media, to publicly admit to the incident. 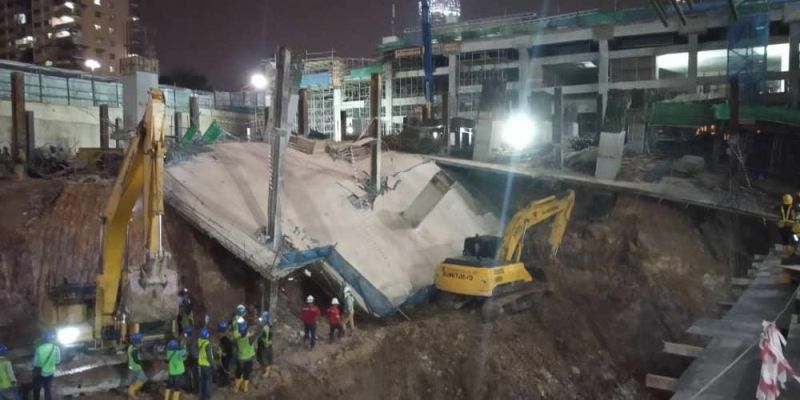 In a statement released today which was said to be in response to the viral posts, Eco World Development Group Bhd (EcoWorld) said that the “localised failure of a slab occurred last Friday (January 25) at the BBCC development on the former Pudu Jail site in Kuala Lumpur”. “The incident happened at 8.23pm. There was no injury to any person or any property. The relevant authorities were informed and investigations to identify the root cause of the incident were undertaken immediately. “In the meantime, the affected area was cordoned off whilst works continued as normal on other parts of the site which were not affected by the incident. 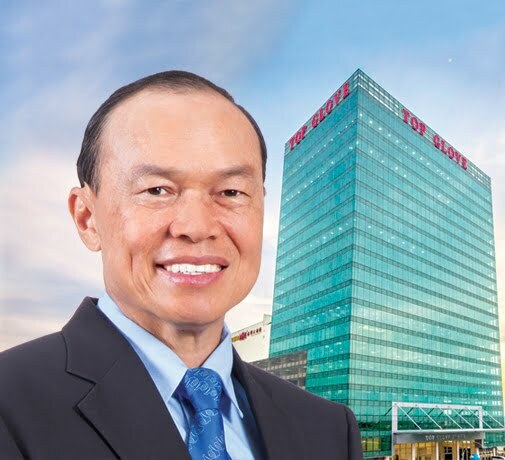 On January 28 2019, BBCC received the go ahead from the Department of Occupational Safety & Health to proceed with clearing of the area today (January 29),” EcoWorld were quoted as saying by The Edge. BBCC, which sits on 7.85ha of land and will have a total gross built-up area of 6.7 million sq ft with a gross development value of RM8.7 billion, is being jointly developed by EcoWorld, UDA Holdings Bhd and the Employees Provident Fund (EPF). 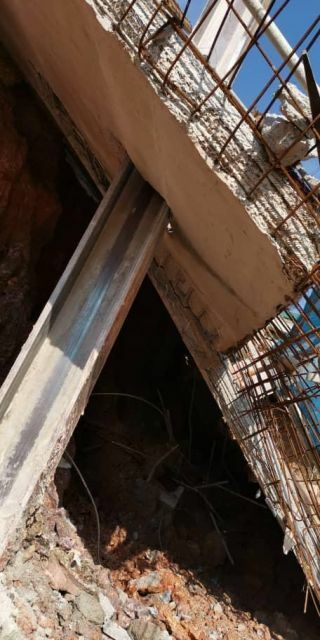 Some netizens have questioned the silence on the issue over the past four days even by the authorities and the relevant ministries concerned, while others were alarmed at how the construction had not been completely halted for further investigations, not just over safety and health issues but also on the issue of structural integrity. Another commented that the “structural design looks very thin indeed”. Meanwhile, the site being where the Pudu Jail was previously located also had some netizens commenting on the “ghosts of the many prisoners who died in prison, or were executed, still haunting the site”. It was previously reported by The New Straits Times that construction at BBCC was progressing faster than expected. The project owner, BBCC Development Sdn Bhd, told the media last month that 25% of Phase 1 construction and all infrastructure works for the development were completed as at end-October 2018, ahead of schedule. The delivery of Phase 1, which accounts for 50% of the total built-up area of BBCC, is slated for the first quarter of 2021. Phase 1 consists of the RM1.6 billion Mitsui Shopping Park, 43 levels of strata office (The Stride), the entertainment hub that comprises Zepp KL by Sony, Malaysia Grand Bazaar (MGB) and Regus, and two towers of serviced apartments (Lucentia 1 and 2). 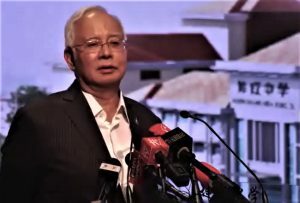 It will also see the construction of traffic tunnels to Jalan Galloway from Jalan Hang Tuah and another on Jalan Changkat Thambi Dollah, including a new transportation hub to link the Hang Tuah light rail transit station and the Merdeka mass rapid transit station. Federal Territories Minister Khalid Abdul Samad has also visited the site in November, and had reportedly said that he was impressed with the progress and traffic plans by BBCC Development, promising that his ministry would give its full support for the completion of the project.